The Division of Rheumatology at Upstate Medical University provides state-of-the-art diagnosis and treatment of arthritis and related diseases of the joints, muscles and skin. We provide diagnostic and therapeutic joint injections and infusion services. We also diagnose and treat systemic inflammatory and autoimmune diseases. 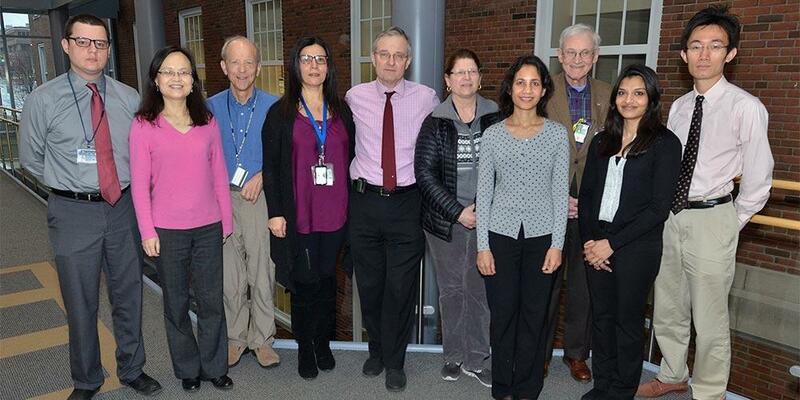 Our Faculty is actively involved in teaching and research in the subspecialty of rheumatology and immunology. The Division is internationally known for basic and clinical research of lupus and systemic autoimmune diseases. In addition to out-patient services at University Health Care Center (UHCC), Hill Medical Center and the VA Medical Center, our faculty also provides in-patient consultation services at University Hospital, Crouse Hospital and the VA Hospital of Syracuse. Last Modified: December 13, 2018. Contact Rosa Trpcevski with questions about the content of this page.